2.0T edition. heated seats, Tel-matics w/ Blue Tooth, Media Upload, CD/MP3 player w/ Audio AUX, Fog-lamps, Alloy Sporty Wheels, 2.0L 4Cyl-Engine/6-Speed Manual Trans, great mechanical condition, well maintained, Vehicle been completely serviced w/ Fresh Timing Job, Serpentine Belt, Fresh Synthetic mobile-1, Oil Change, Filter, Oil Separator Valve, Cooling System Flush& refill, Tune-up w/ New Spark Plugs, Fuel Injectors Flush/De-carbonize along with New Injector seals kit, Engine De-carbonize, New Ceramic Brakes Pads, Like new Venezia A/S 18IN Tires, Computerized Spin Balance& Wheel Alignment. After completion of repairs, Vehicle been road tested for over 200 miles w/ no problem. 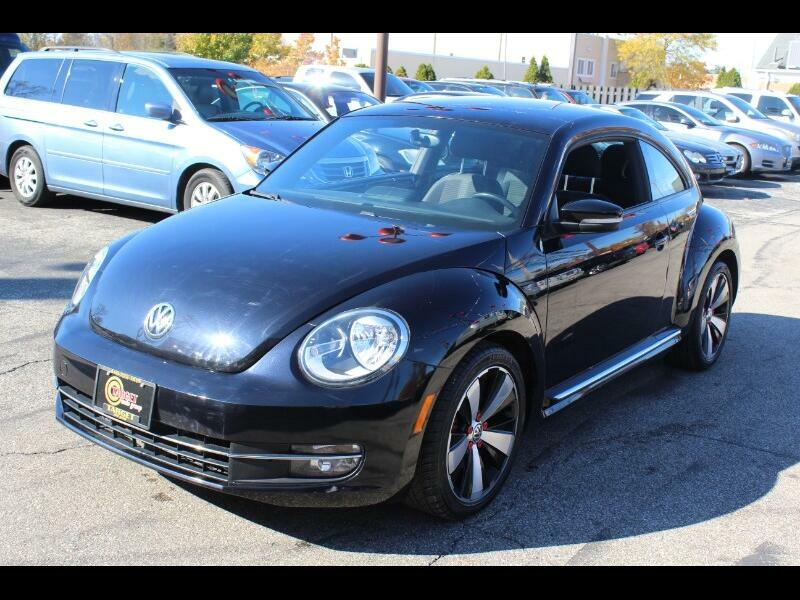 Call Moe at 440-232-1615 to schedule your test drive for this fast beetle. Message: Thought you might be interested in this 2013 Volkswagen Beetle.